1. 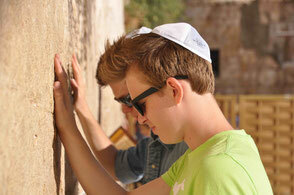 We are aiming to promote a positive attitude towards Israel and the Jewish people. 2. 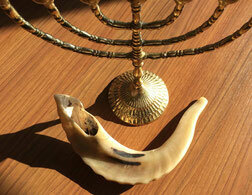 We increase the awareness that Christian faith is rooted in biblical Judaism. 3. We support Messianic Jews - Jews who believe in Jesus. 4. We support the witness of Messias Jesus of Nazareth to Jewish people. 1. Israel is the chosen people of God. The continuous election of Israel is justified by Gods love to his people (Deut 7:7-8a; Romans 3:3). God established an unconditional, eternal covenant between him and Abraham, Isaac, and Jacob as well as their descendants. His promises display his love and his care for the people of Israel. The new covenant too was intended first only for Israel (Jeremiah 31:31) and confirmed the covenant with Abraham. 2. God promised Abraham, that through him all people on earth would be blessed (Genesis 12:3; Galatians 3:16). From the beginning, God wanted to save both Israel and the nations. Jesus provided them access to God's presence. Therefore he is confirmed as the Messiah and Savior of this world, and this is also the reason why he is honored and worshiped (Luke 2:11). The gospel of Jesus Christ is a message of salvation for every person, Jews and Non-Jews alike. Whoever believes in him shall not perish but have eternal life. 3. The division of the Bible in one Old and one New Testament shall not mislead Christians to separate both parts from the scripture as if the Old Testament belongs to an ancient past detached from the New Testament. As Christians, we believe in the unity of both parts of the scripture. Because of this, faith in Christ is always faith in the God of Abraham, Isaac, and Jacob. We are aware of the fact that rabbinical tradition has a different perspective and interprets the Tanach (OT) differently. 4. All believers in Christ, whether Jewish or non-Jewish, are united as one communion of saints (Gal 3:26+28). The first followers of Jesus were Jews. The Jewish apostles proselytized Non-Jews to become followers too. Formerly gentiles were foreigners to God’s covenant with Israel. But in Christ, they became fellow citizens with God’s people (Ephesians 2:12-19). Paul, the apostle to the Gentiles, warns Non-Jewish believers against hubris. They are only wild olive shoots grafted in among the natural branches (Romans 11:17-21). 5. Jews, who believe in Jesus the Messiah, call themselves Messianic Jews. They are both part of the Jewish people and at the same time one with the Body of Christ. Therefore, the church is responsible for supporting and encouraging Messianic groups. Since 4th AD the church had been rejecting Jewish Christians and regarded them as heretics. Church and synagogue were finally separated. Today Messianic Jews show us that it is possible to believe in Jesus and at the same time keep a Jewish identity. They can be a partner in a dialogue between church and rabbinical Judaism. 6. We reject mission to the Jews ("Judenmission") if that means to convert them to Christianity (Romans 3:30). Those who are sharing the Gospel in the spirit of Christ will always do it with due respect and love even if the persons they are speaking to refuse Jesus as the Messiah. But Jews who believe in Jesus do not convert to a foreign God. Instead, their faith in Jesus equates with their faith in the God of Abraham, Isaac, and Jacob. 7. The Shoa was an indescribable crime against humanity. In light of this, it is for us to fight all forms of anti-Semitism. The arrogance of the church towards Israel along with Supersessionism contributed to the persecution and ostracism of Jews over the centuries. As Christians, we are in called to resist anti-Judaism and anti-Zionism and to promote peace and reconciliation. with their own Jewish people and with all the nations. 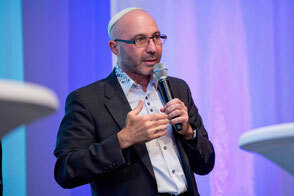 We support Jewish-Messianic congregations in Israel, Germany and Europe. shall be related to the Jewish people with love and respect. We want to encounter Jewish people in the love of Jesus by practicing charity. Therefore we are financially supporting various social projects of Messianic Jews.